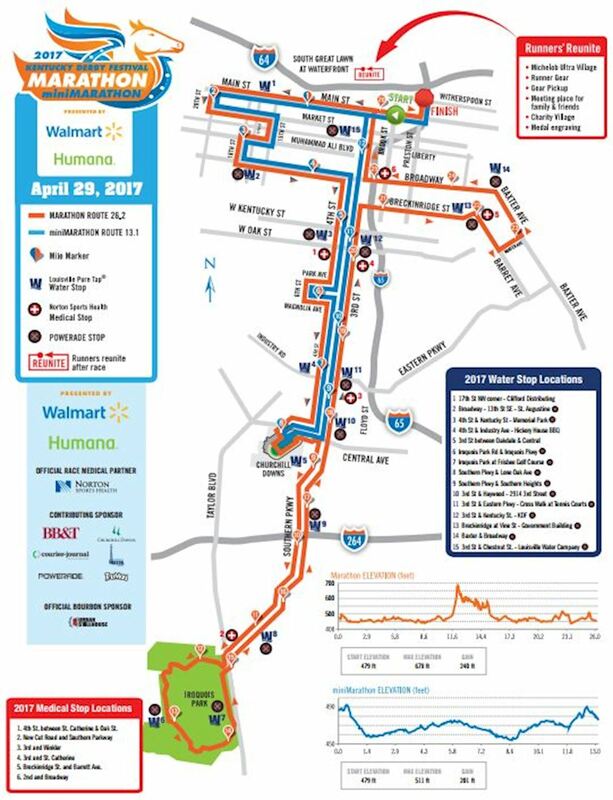 The Kentucky Derby Festival Marathon and miniMarathon presented by Walmart and Humana has grown from a small local road race into the largest day of road racing in Kentucky history. Runners from all 50 states and several foreign countries annually complete the scenic 13.1- and 26.2-mile courses that start and finish in downtown Louisville. Now in its 43rd year, the miniMarathon attracts more than 12,000 entrants each year and is ranked among the nation’s top 100 races by USA Track and Field. The Marathon, which debuted in 2002, draws nearly 3,000 entrants. 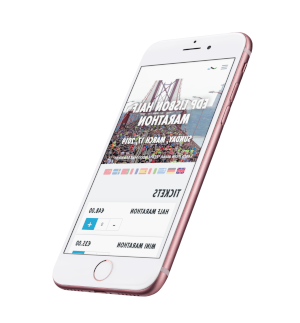 Both races share the same start and finish lines, with runners from both races staying on the same course until Marathon runners split off at the 11-mile marker. Large and enthusiastic crowds line the sidewalks along the route, and volunteers handle duties ranging from race registration to handing out bottled water and orange slices. The course is scenic, yet challenging, including a hilly stretch through Iroquois Park and passing through historic Churchill Downs race course. Not many people would have thought that an event with barely enough organization to get off the blocks in 1974 would become a cornerstone of the annual Kentucky Derby Festival celebration. The late Gil Clark, a longtime director of the miniMarathon, remembers working at his Metro Parks job when his boss, Carl Bradley, gathered a group to chart a course for a new road race that would be part of that year’s Kentucky Derby Festival activities. The minimum age to participate in the Derby Festival Marathon is 16 and the miniMarathon is 12. Runners who are under the age of 18 will have to have a liability waiver signed by their legal guardian at packet pick-up. Fluid and Medical Stations are positioned along the race course. Water and Powerade are offered at Fluid Stations. 6 hour cut off time. All participants must maintain no more than a 13:45 minute per mile pace for the full Marathon or a 15:00 minute per mile in the half Marathon. Roads will reopen following the Louisville Metro Police trail car which starts after the last corral crosses the start line (not gun time). Course services will not be available past this time. All Marathoners must reach mile 20 Split (3rd & Breckinridge) by 12:05p.m. in order to continue the route with full support. If participants fall short of the 13:45 pace time participants have the option to continue the Marathon course without traffic support using sidewalks or continue the remaining half marathon course down 3rd St. Parking is available in the following locations: Witherspoon Parking Garage (1st Street and Witherspoon); Waterside Parking Garage (Brook Street and Washington Street); and other area parking lots. There will be NO PARKING in the parking lot East of Louisville Slugger Field. Anyone parking in this location will be towed at the owner’s expense. All timing chips are attached to the inside of all race bibs. Extremely well put together and a blast for all runners and spectators! Relatively flat for many miles, but look out for the extremely challenging Iroquois if you brave the full marathon! Lots of wond... Extremely well put together and a blast for all runners and spectators! Relatively flat for many miles, but look out for the extremely challenging Iroquois if you brave the full marathon! Lots of wonderful people in KY for the festival and races- lots of support out on the course. It was my first full and I loved every bit of it! Main Street and Brook Street in Downtown Louisville. Preston and Witherspoon Street (near Waterfront Park).